I am writing to remind you of the support from all your friends and fellow campaigners with the International Campaign to Ban Landmines – Cluster Munition Coalition (ICBL-CMC) who have been loudly calling for your release, since the day of your arrest by Azerbaijan authorities. Since July, ICBL-CMC members from around the world have joined the campaign to demand your immediate release from prison. We have sent letters to the Embassy of Azerbaijan and requested meetings, asked relevant international authorities to take action on behalf of their countries, joined the urgent actions of Amnesty International, and supported your candidacy for the many awards – http://bit.ly/1xoWDFF, http://bit.ly/1swvQR3, http://bit.ly/1wFpJ0B among others – for which you have been nominated. It is with gratitude that we recall your leading role in promoting the mine ban campaign in Azerbaijan, a country affected by landmines where people continue to be victimized by these weapons. In addition to mine ban advocacy, we laud your commitment to upholding the free speech of all citizens of Azerbaijan and to insist on the protection of civil liberties; your courage and engagement serve as examples to activists worldwide. I write this letter in the hope that you are able to take some small comfort from the international outcry that ICBL Ambassador and Nobel Laureate Jody Williams, author Jane Barry, human rights advocate Nadedja Atayeva, your remarkable daughter Dinara, and many others have raised on your behalf, and on behalf of all political prisoners in Azerbaijan. Indeed, ICBL-CMC members are among a growing international network of human rights advocates outraged by your imprisonment and the lack of necessary medical care being provided to you. We are very concerned by reports that your health is deteriorating quickly, and that the fundamental right to appropriate medical treatment has not been respected during your imprisonment. Far from being silenced, we are encouraged by the strength of your will and vow to continue speaking out against these repressive tactics. We are humbled by your continued resolve to speak up for the human rights of all citizens of Azerbaijan in spite of the harassment you have suffered for years. Your courage has inspired many activists, politicians, parliamentarians, Nobel Laureates and writers, across the world to stand up for you. Dear Leyla and Arif, please know that a wide web of supporters internationally will not stop calling for your immediate release, until you are safely back home. 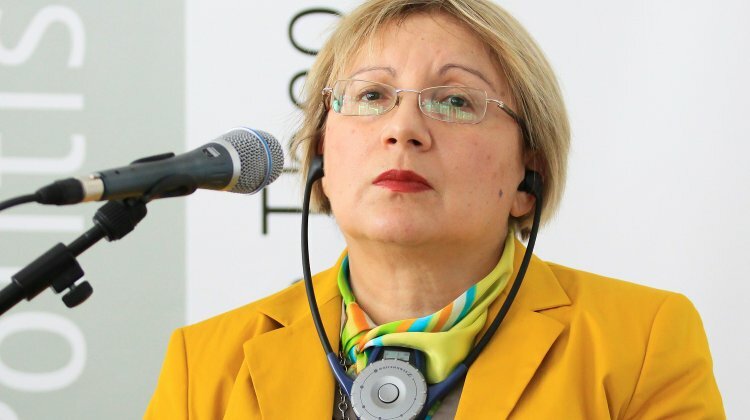 This post is part of a global open letter campaign to secure the immediate release of Azerbaijan human rights advocates Leyla and Arif Yunus. See here for more information. ← Banks behaving badly: are you funding cluster bombs?